Plastic Mould Temperature Controller are used to provide a regular and stable temperature to plastic injection mould during injection molding production. 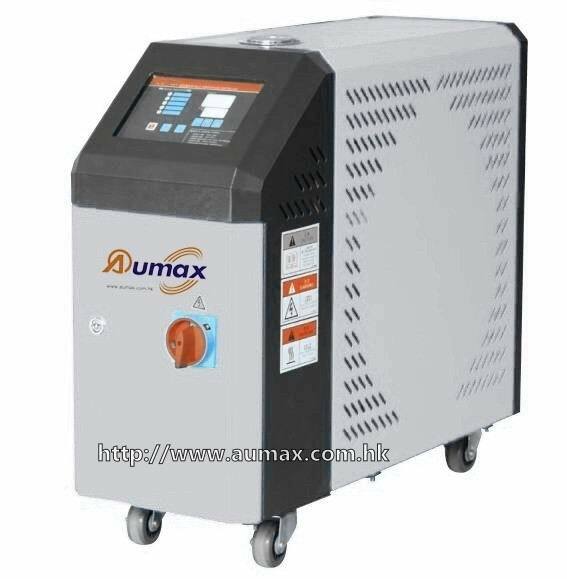 Aumax brand AMTC Series mold temperature controller machine can provide high efficiency and good performance to production. We have two series-- water type mold temperature controller and oild type Mould Temperature Controller for different customers" requirement. > Computer temperature control, direct-view and easy and simple for operation, PID temperature control with high accuracy and stable temperature controlling, the accuracy is ±1°C within. > Use horizontal pump, running in smooth and steady, stable flow with long using life. > Cylindrical tube design, pressurization and explosion-proof. > Automatic alarming function, alarming and automatically stop when the system has the breakdown. > Attractive appearance, easily-dismounted design, convenient for maintenance. > Two specifications of water and oil cooling for customer`s selection. 1) "D" is double section. 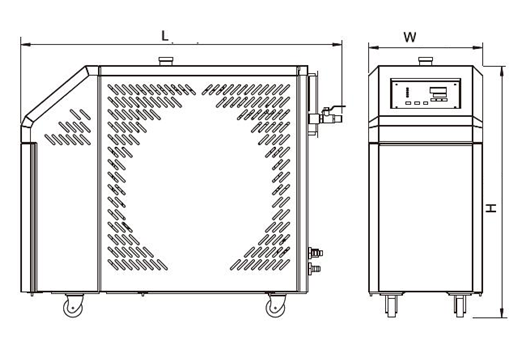 2) The Voltage Specification of Machine is 3Ø,220/380V,50/60HZ. 3) "W" indicate water-type controller; "O" indicate oil-type controller . Looking for ideal PID Automatic Mold Temperature Controller Manufacturer & supplier ? We have a wide selection at great prices to help you get creative. All the Injection Mold Heater Machine are quality guaranteed. We are China Origin Factory of Plastic Mold Thermoregulator Machine. If you have any question, please feel free to contact us.